Nice music & fx, in 4k, on Falcon ! nice music and fx ! 4k??? wow! Nice! It's impressive for me to hear such good msx in 4k. Good job, soft synth sounds great. What Hylst said. Awesome work! 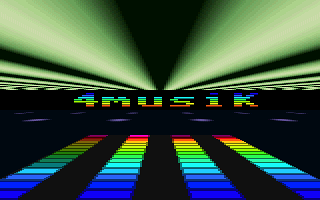 Really nice 4K with a bit of VLM touch and cool to hear a softsynth played by Dma-Sc like that on Falcon. Also, the bit of distortion sounds great. Lovely tight little 4ktro for the Falcon, with muzix! page created in 0.015285 seconds with 15 queries.